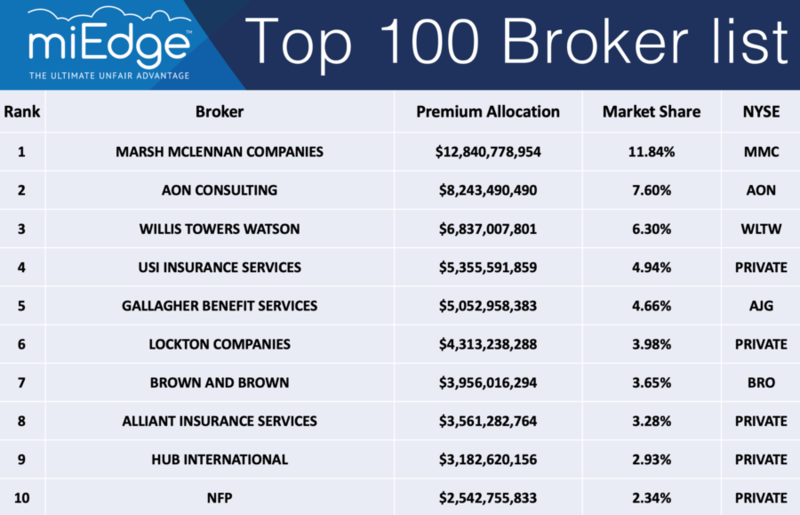 miEdge Ranks the 2018 Top 100 Large-group Employee Benefits Brokerages and Consulting Firms in the U.S.
miEdge is proud to partner with virtually every firm on the top 100 list and we congratulate them all for their outstanding achievements and client value propositions. NEW BOSTON, NH, December 28, 2018 /24-7PressRelease/ — miEdge™ the premier provider of prospecting and data solutions for the insurance industry announced the 2018 top 100 large-group employee benefits brokerages and consulting firms in the United States. Some notable changes in the rankings come from recent mergers and acquisitions. Brown and Brown (BRO) recently acquiring Hays Companies, Alliant acquiring Crystal & Co and EPIC recently acquired Integro. Alera Group, formed in 2016, now occupies the 16th largest position on the ranking which is quite remarkable in only 2 years. Premiums are based on Form 5500 Schedule A data submitted to the Department of Labor. As such, groups under 100 lives, government entities and church plans are not required to file. Any disclosure on Schedule C’s are not contemplated in these numbers. miEdge™ is the premier provider of lead generation, data analytics and prospecting solutions specifically designed for insurance & financial service industry. 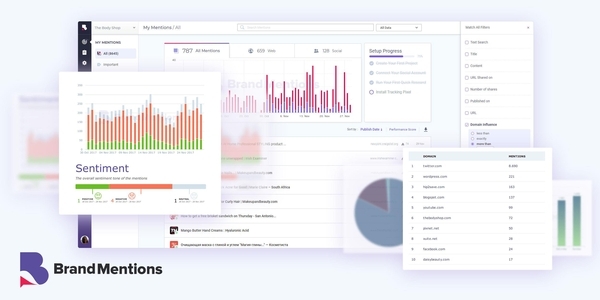 The innovative miEdge™ solution utilizes multiple data sources and applies proprietary business logic, along with algorithms, machine learning and data cleansing to provide unrivaled data intelligence in an easy to use intuitive interface. miEdge technology solutions include: employee benefits Health & Welfare, Property & Casualty, and Retirement/Financial Services prospecting, all seamlessly integrated into your Salesforce or Dynamics CRM. Visit www.miedge.biz to learn more.